Why Should Indiana Listen to Tim Cook? 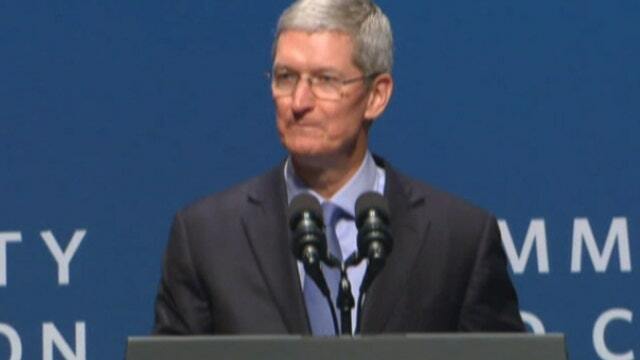 Neil’s Spiel: Is Tim Cook overstepping? Tea Party Leadership Fund Spokesperson Katrina Pierson and FBN’s Neil Cavuto on Apple CEO Tim Cook’s response to Indiana’s new ‘religious freedom’ law. Much ado about nothing, that&apos;s how Indiana Gov. Mike Pence describes a new religious freedom measure he just signed into law. Some say "religious freedom" is code for "anti-gay." “Apple is open. Open to everyone, regardless of where they come from, what they look like, how they worship or who they love. Regardless of what the law might allow in Indiana or Arkansas, we will never tolerate discrimination,” wrote Cook. Cook was referring to a similar measure coming up for a vote in Arkansas. But what exactly is Cook threatening here? And whom? Is he threatening Indiana customers, who might not even care about this issue? But who might have a bigger issue with a California CEO making their state an issue? Regardless of what you think of this Indiana law, whether a measure aimed at protecting folks&apos; religious freedoms really is anti-gay, is it a slippery slope for a CEO of any company to lecture a state on such matters? Remember, Cook&apos;s own state of California takes a dim view of jobs shipped overseas, yet not a word from Cook about those millions of iPhones he makes in Asia. And southern states like Texas and Arizona are cracking down on illegal immigration, should he weigh in on those matters that a lot of liberal groups call overly excessive? Be careful getting on a high horse. Sometimes regardless of folks&apos; point of view, they don&apos;t take kindly to you all but calling them buffoons.